I was ready to give up on this post and just write a mailless Monday post instead. I was fighting with Picasa since last night and wasn't able to figure out my photos. But, alas, I think we're good to go now. 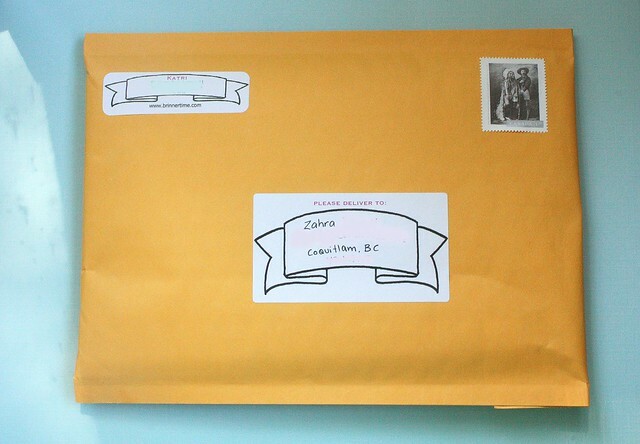 Not that there's that much mail this week, but I still have two photos to share, which I feel it's the important part. My weekend was awesome! I went shopping with a friend, we were on a mission to make sure there's no better wedding shoes that the ones she already found. It's important to be sure! We ended our excursion at an amazing Japanese restaurant in Koreatown. On Sunday I went to finally check out Leslieville Flea which was a lot of fun. I found something incredible there (you can see a peek over at my Instagram) and enjoyed looking at all the beautifully curated tables. I also realized that I haven't shared any of my thrift shop finds in a long time! I've found some good stuff, let me tell you... I'll share some later. Besides that I have been scheming. I have some really fun stuff planned for my two favorite holidays, Halloween and Christmas. So, stay tuned! 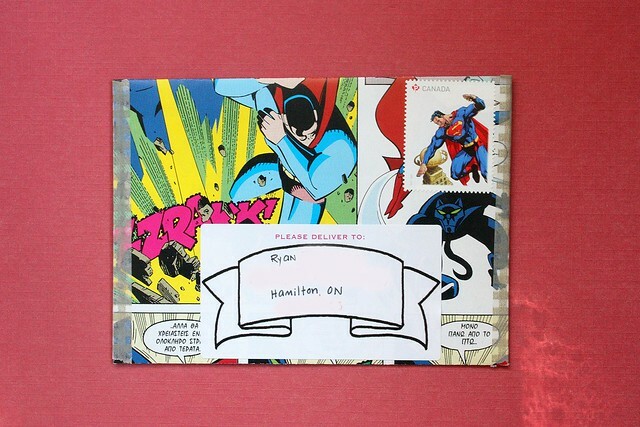 The envelope is made from an old, Greek Superman comic by using, you guessed it, THIS tutorial! Additionally, and this happens fairly often, I sent some plainer mail. I do decorate the mail I sent out personally as well as orders from my shop, but some mail just better go out more simple. I figured I'd share one occasionally, just to show you that not everything goes out all crazily decorated. I'm working on a few (ok, like 5) tutorials for the upcoming holidays, but please let me know if you've seen something over the blog or anywhere really that you would like to learn how to make. If it's something I can make a tutorial for, I certainly will try! How has your week started off?